It has been quite some time since I’ve been able to get excited about Greesnboro area music. Everything has changed with word that Roanoke’s The Allrightniks have released a new EP (more on that in a furure post) and Greensboro’s own Roseland has a new LP out. Unimaginatively entitled “Roseland”, it is nevertheless packed with catchy melodies, excellent harmonies, and killer hooks. The opening song, Plan To Ride, has a great Old 97’s / Jayhawks vibe to it, the requisite jangle necessary to make even the most cynical powerpop fan smile. You’ll fall for the gorgeous “fell in love with a rolling stone” refrain. The harmonies on “In Between” are lovely as well as the guitarwork thorugout the entire LP, and “Nightlife” is as close to a powerpop song as the band gets and is one of numerous highlights on an LP that has to qualify as one of the best of it’s genre this year. If you like the alt-country CSNY kind of thing, this is your band and your LP. Even if roots-rock isn’t your thing, Roseland is chock full of jangle, great melodies, and spot on harmonies. This is a very impressive debut of a band I’ll be watching very carefully moving forward. 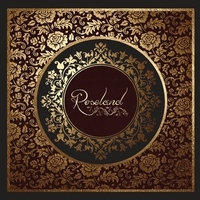 You can get a copy of Roseland’s debut LP here.